In other industries Data Loss Prevention (DLP) is about protecting sensitive data like intellectual property and meeting compliance requirements. In healthcare, where according to a Ponemon report breaches have grown over 32%, DLP can deliver compelling business value by enabling practices to embrace Electronic Healthcare Records (EHRs) and Health Information Exchange (HIE) securely. 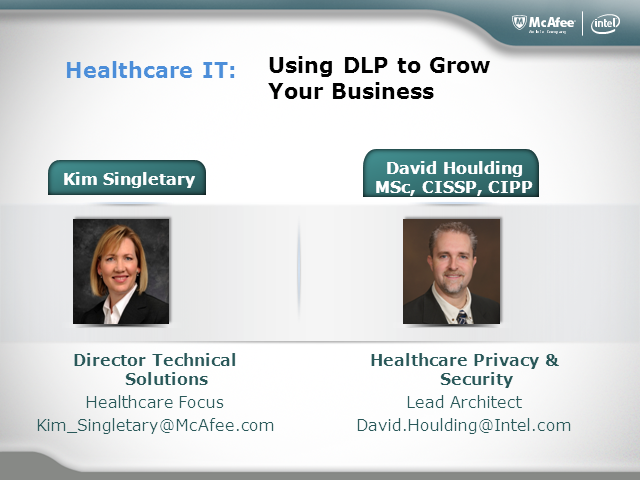 This webinar will explore the security potential in Healthcare IT and how effective risk-based controls can help with DLP implementation.